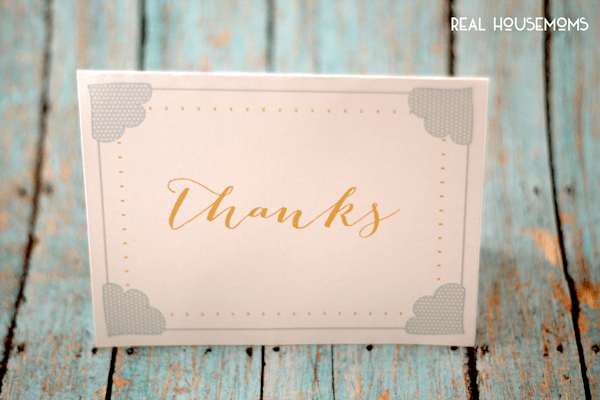 These Printable Note Cards will save the day when you want to send someone a quick note or a heartfelt wish and have no time to go to the store! Before I had kids I used to be such a card writer. I loved grabbing blank cards because that meant I had a lot of room to write my own thoughts and feelings. I have gotten away from that but with this new collection of printable note cards I plan on making more of an effort. Plus there is nothing keeping me from it now that I can just print the note cards out as I need them. 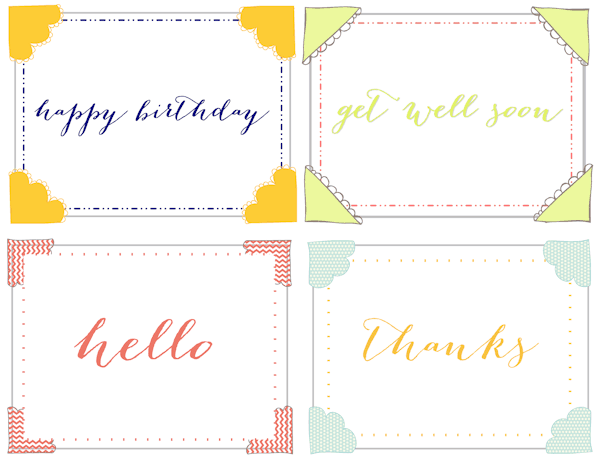 I created this collection with 4 sentiments that I think are the most common ones; Happy Birthday, Hello, Get Well Soon and Thanks. It just so happens that I will be printing out a bunch of thank you cards since I just had a birthday and received many wonderful gifts. Here’s a close up of a few others. The file contains one card per page. 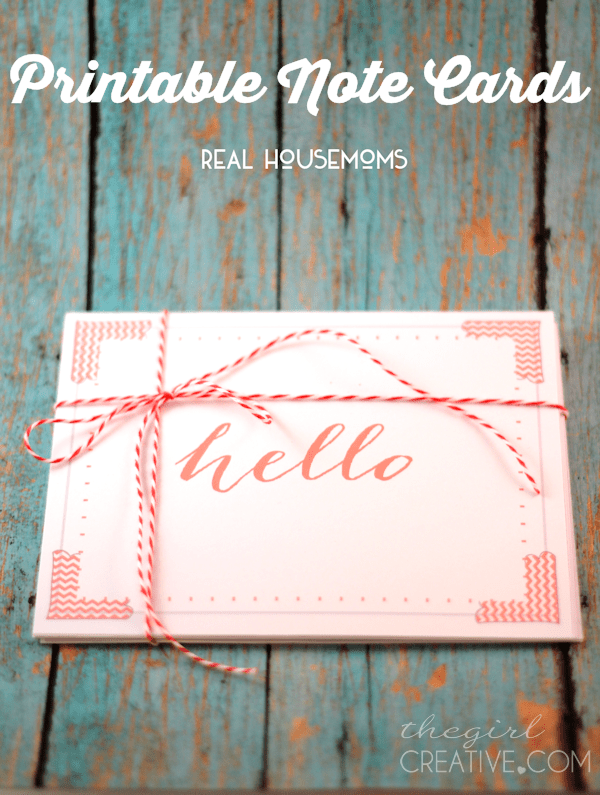 All you need to do is print out the one(s) you need and trim them down with a paper cutter. 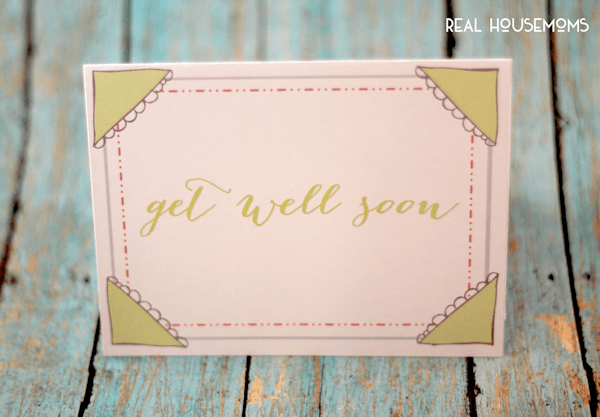 The card will fit perfectly into a small card envelope that you can pick up at your local office supply store. 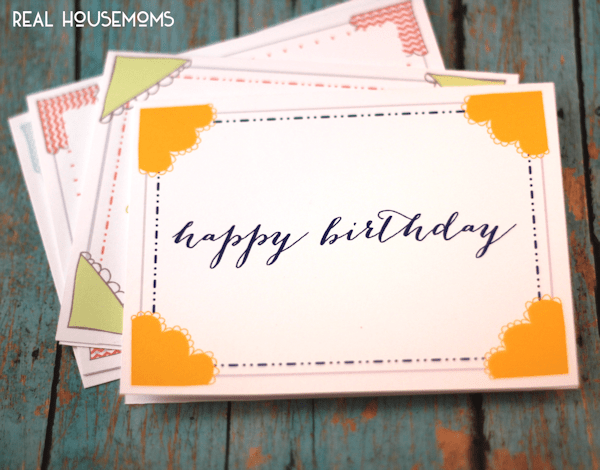 I always recommend printing out cards and tags on card stock. As always you can print out on your home printer.